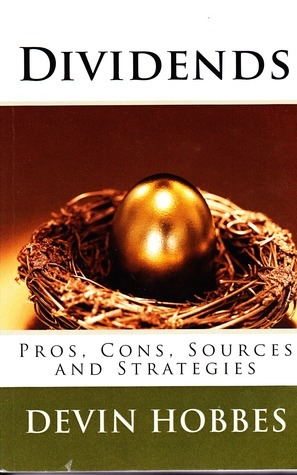 I'm giving away a couple of copies of my book Dividends: Pros, Cons, Sources, and Strategies. As the title suggests, the book is about dividends: what's good about them, the potential downsides, where to get them, and the pros and cons of the strategies surrounding them. It's not just about common stocks, but also preferred shares and other "dividend" paying investments like master limited partnerships, exchange traded debt, royalty income trusts, business development companies, and the like. You can enter to win below. You have to register at Goodreads to do so. It's sort of like Facebook, but for readers. Giveaway ends April 05, 2012.